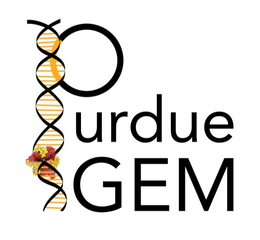 The time has well passed since our team competed in the iGEM jamborees. Since then, we have been busy eagerly preparing the team for the upcoming year, but don’t worry, we haven’t forgotten about the great successes that occurred during the jamborees and are excited to share those successes with you! The regional jamboree, consisting of the North American iGEM teams, took place at the University of Toronto (which looked unbelievably like Hogwarts). At this competition we were named finalists, ranking third in the undergraduate division! This honor granted us the opportunity to present in front of all 64 teams that attended the event. Beyond this, we also received the award for Best New Natural BioBrick Part and advanced to the World Championship at MIT. Although we didn’t win any additional awards at the international competition, we were more than satisfied with our performance and had an unforgettable experience in Boston, which included attending the Red Sox victory parade! We are harnessing our enthusiasm from the previous competition to continue this success and reach for even greater heights!